The BAPI-Stat 4 Without Display is available as a humidity only or as a temp/humidity sensor with optional temperature setpoint, override, comm. jack, test and balance switch and warm white or gray logo plate. The ±2% RH output is available as 4-20mA, 0-5V, 0-10V or 2-10V. Be the first to review “BAPI-Stat 4 – Room Humidity (%RH) Transmitter with optional Temperature Sensor, No Display” Click here to cancel reply. 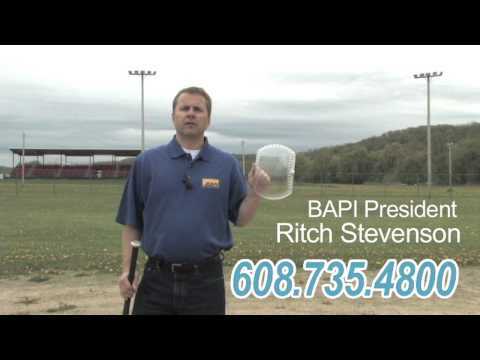 BAPI President Ritch Stevenson uses a baseball bat to compare the durability of the BAPI-Guard thermostat protector to a competitor's thermostat protector.